Imprint Method: UNIMPRINTED - The Soup To Go Mug Soup includes a vented lid with a snap closure. The mug can hold 20 ounces. 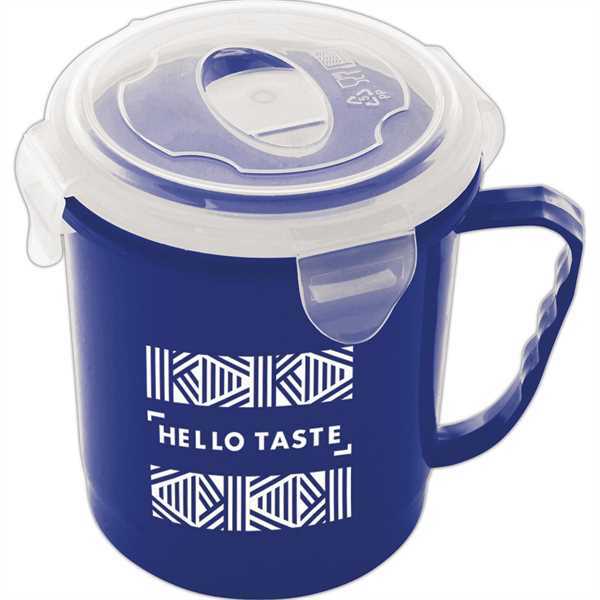 It meets FDA requirements, is BPA free and microwave and dishwasher safe. Size: 4.33 " x 4.92 " x 4.72 "